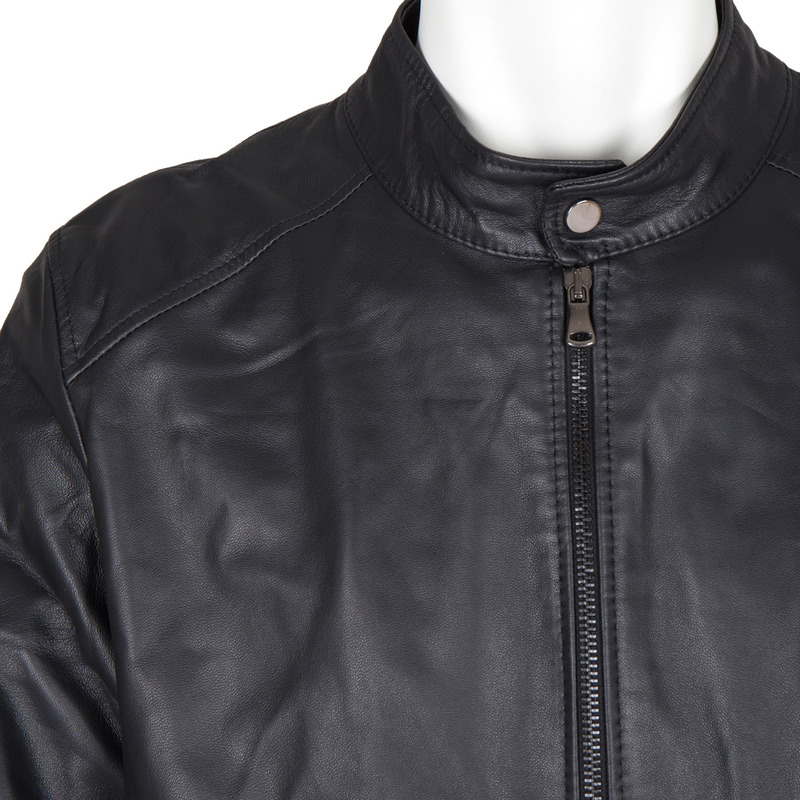 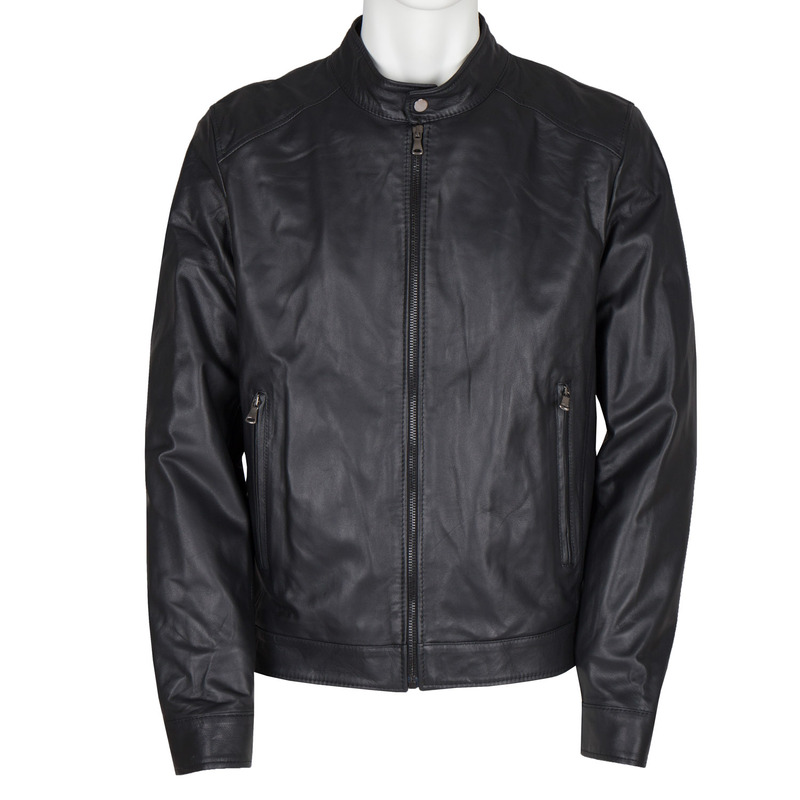 A simple men’s leather jacket with a zip closure and two practical pockets on the sides. 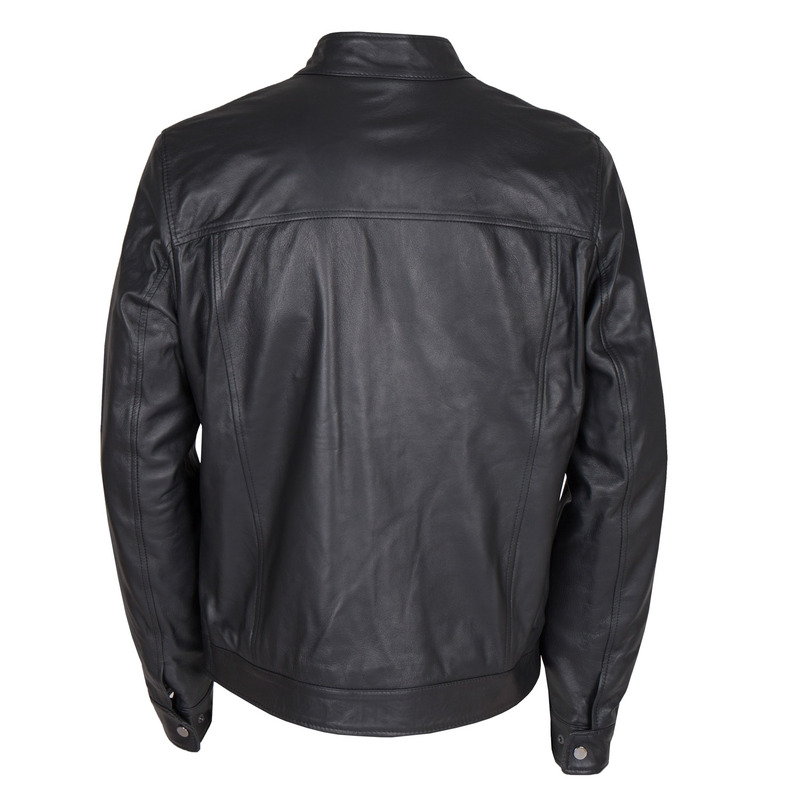 The cut is accentuated by a stand-up collar with a metal snap and stylish stitching on the shoulders. 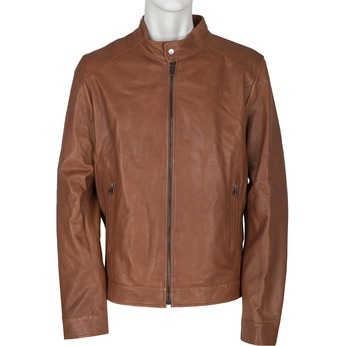 Wear with jeans or chinos, and pair with ankle boots or casual sneakers.